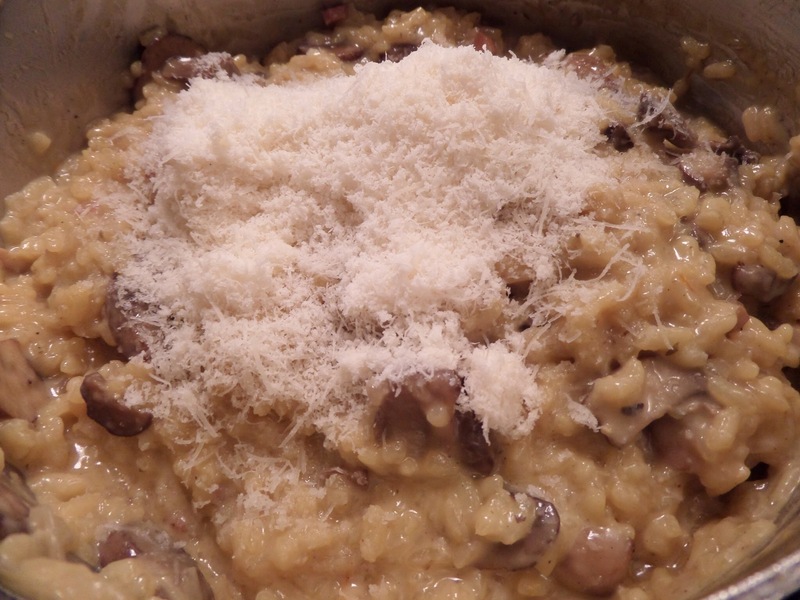 Who doesn’t adore wild mushroom risotto?? If you’ve been scared by risotto in the past, it really isn’t that difficult. Yes, it does require constant attention for 20 minutes or so, but it’s kind of hard to screw up if you’re on top of it. The best thing about risotto? The leftovers!! The options are endless. I chose to go with arincini. 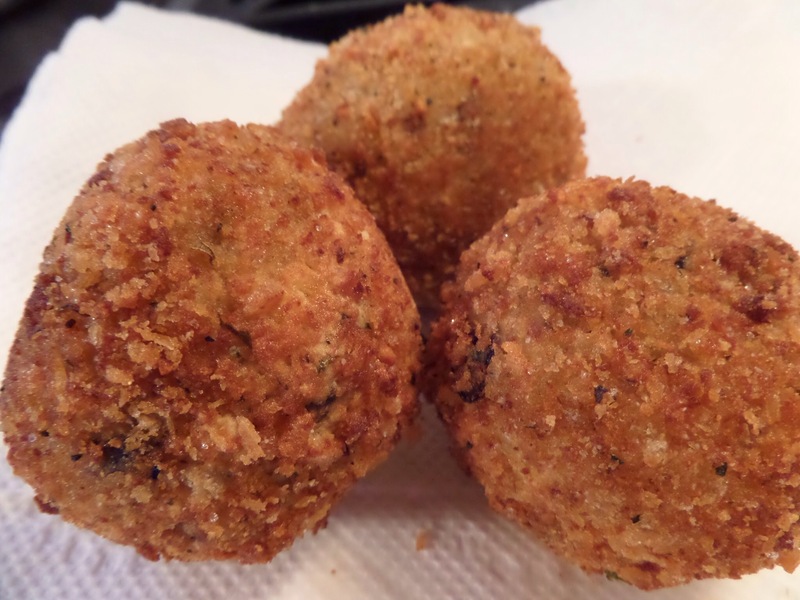 Arancini loosely translates to small oranges in Italian. They can be stuffed with bolognese, just meat or cheese. They can be perfect round balls or the more traditional shape, conical (cone-like). So let’s start with the mushroom risotto. Ina Gartin provides a very good recipe that’s cheesy and full of flavor. Knowing I was going to make arancini with the leftovers, I opted not to include the morels, themselves. I did, however, rehydrate the morels and reserved the water for the risotto. 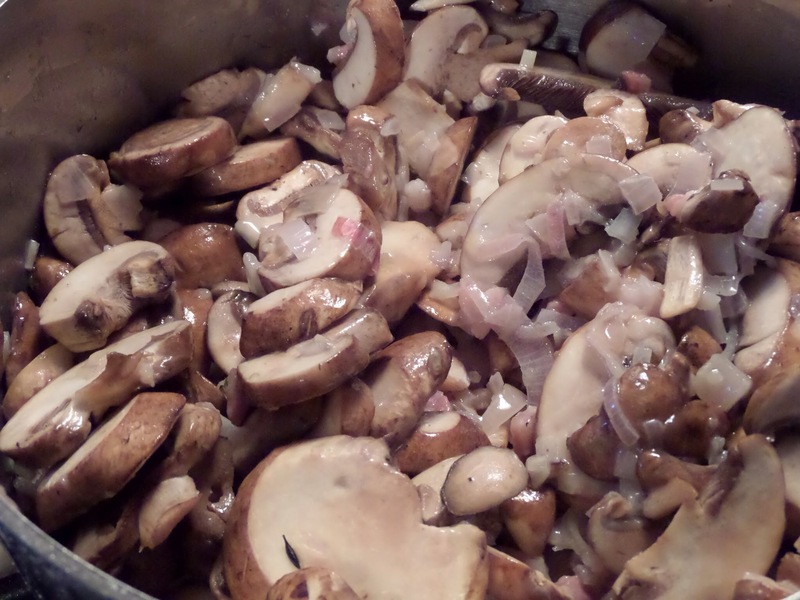 Also, I’d recommend cutting back the amount of cremini mushrooms or dice them, finely, before adding them to the risotto. It made rolling the risotto into calls much easier the next day. Speaking of ‘next day’, it’s highly recommended you cool the risotto and refrigerate it for 24 hours. If you’re looking for instant gratification and just can’t wait 24 hours, make sure it’s completely cooled before moving on. Crack an egg over the leftover risotto and add some parm. I had approximately half the recipe remaining so I added about a 1/4 cup of parm. Mix it well with your hands to help break up the risotto clumps. Next, whisk a couple of eggs in a bowl. In another bowl, add 2 cups of flour. In a third bowl, add 2 cups of breadcrumbs. I used a mixture of panko and traditional Italian breadcrumbs. Lastly, dice some fresh mozzarella (preferably low moisture) into 1/2″ cubes. 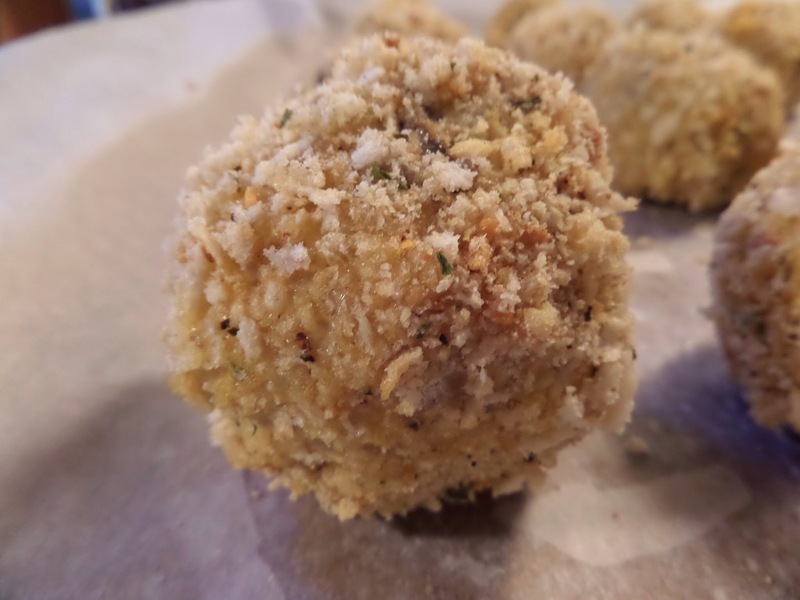 You’ll want a cube per arancini. Time to start rolling! 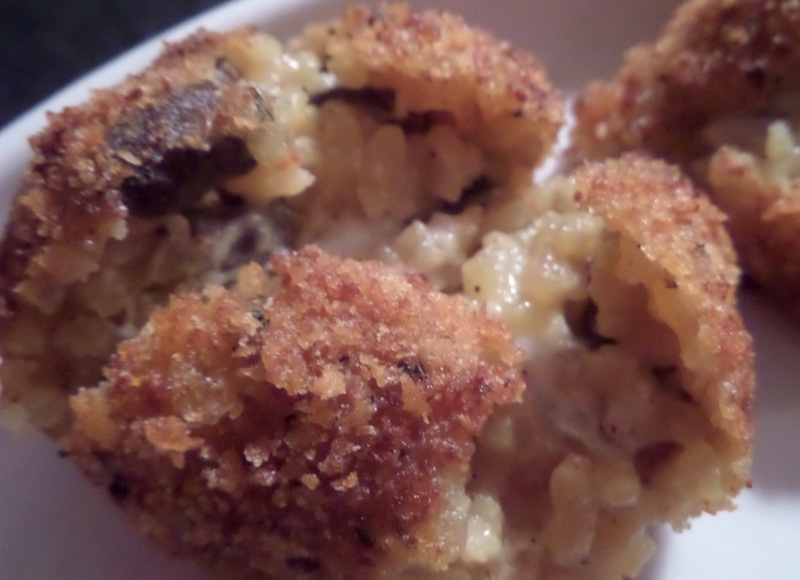 Take 2-3 tablespoons of the risotto and roll it into a ball in your hands. Poke a hole into the center and add a piece of cheese. Roll some more to be sure you’ve covered the cheese up. 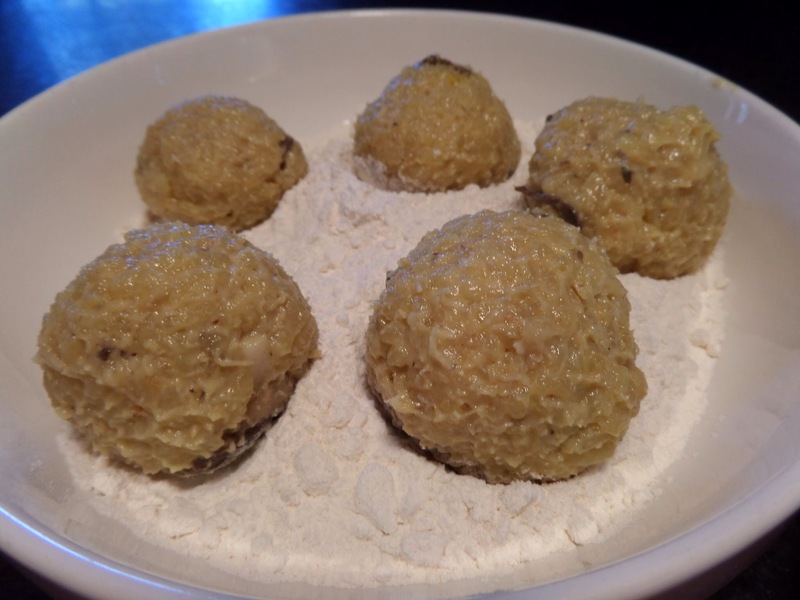 Coat the risotto balls in flour, shaking off any excess. Roll them in the egg and again, shaking off any excess. 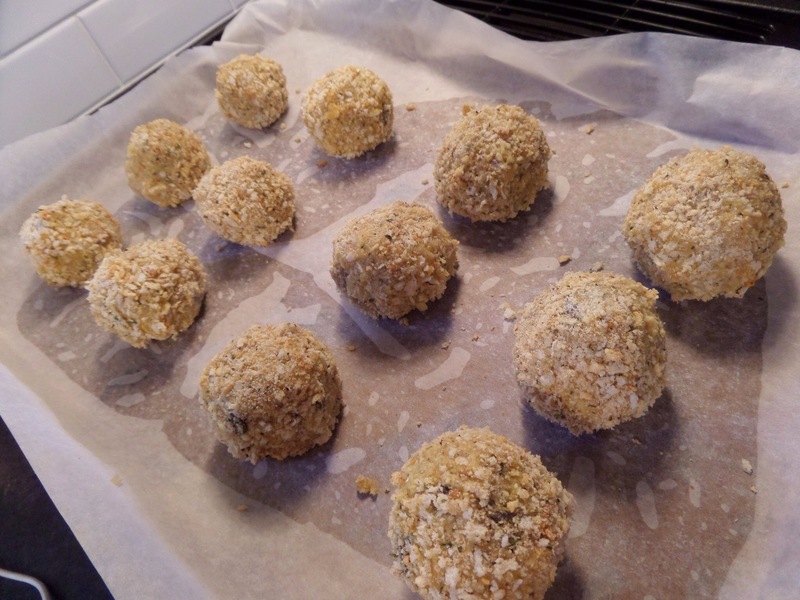 Lastly, roll them in the breadcrumbs, gently pressing the crumbs into the risotto balls. Put each ball on a baking sheet lined with parchment paper. Fill a deep pan with 3″ of vegetable oil. A sauce pan works great. Heat the oil over medium heat until the temp reaches 350 degrees. 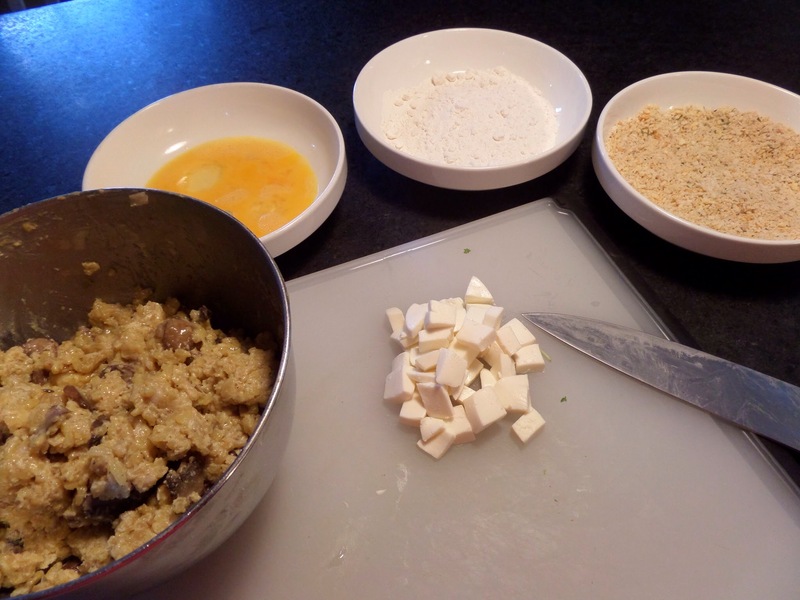 Working in batches, slowly lower the risotto balls into the oil, using a slotted spoon or a spatula. Don’t overcrowd the pan! The oil temp will drop too quickly and there go your little masterpieces. Gently stir them until golden brown. This happens in 2-3 minutes. Remove the arancini and let them drain paper towels. These can be made ahead of time and then baked at 325 for 20 minutes, when you’re ready. They also freeze beautifully. Just thaw them on the counter or in the fridge and then reheat.